Why Are You Wasting Money? I can’t stand things that rip me off. Whether it’s a vending machine, or a product that doesn’t work as advertised, many of us feel humiliated and/or embarrassed that we have wasted our money, and have nothing to show for it. The same thing is true of our lives. 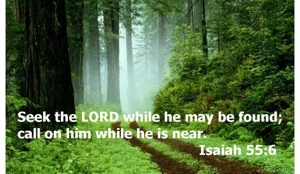 Jehovah God spoke through the prophet Isaiah and asked some penetrating questions, and then gave an open invitation for all who would heed His call. Invites only those who are conscious of their spiritual bankruptcy and utter helplessness before God. No invitation is wasted on those who have any confidence in their own ability to satisfy their spiritual thirst. God then says something counterintuitive at first. He tells broke people to “come, buy and eat”! How can that happen? Only because of grace. We are all invited to nourish our souls without paying for it ourselves. What is being offered is of tremendous value, but it is being offered to us freely by the one who alone possesses it and can provide it to us. God then reiterates the futility of our current predicament. He uses a question to remind us of how we are wasting our substance on things of no eternal value. We are attempting in vain to quench the thirst and satisfy the hunger that can only be filled by God. Only as we take in this One, who is the Word of God (John 1:1) that we can experience the joy of having our spiritual hunger and thirst finally satisfied. Isaiah records the invitation in this passage a few verses later.